In tackling your case's cooling needs, there is no 'one fan fits all.' Each of the three 120mm fans in the MasterFan Pro series provides a specific air cooling solution while all being fitted with multiple layers of our exclusive noise reduction technology and adjustable speed profiles. Put together, they work in harmony to cool your entire case and its components. 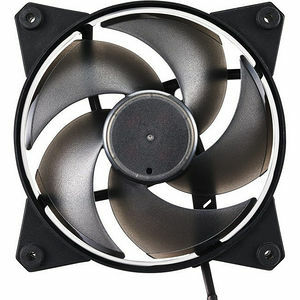 Air Pressure fans are ideal for funneling concentrated air short distances at hot components or tight spaces. Recommended for use on the front panel to penetrate mesh wiring and tightly packed HDDs.